If you follow me on Twitter, then you may remember that I posted a tweet last month about making a Mother's Day project involving tea. If you do remember that post, then you may be wondering what happen between that tweet and now. Well, I ordered my supplies and (of course) they came in later than what I had anticipated (#lifeofacrafter). So today, I finally have your Mother's Day tea inspired project! Today's project is actually a double whammy because its a 3 Step DIY and a Mother's Day gift. 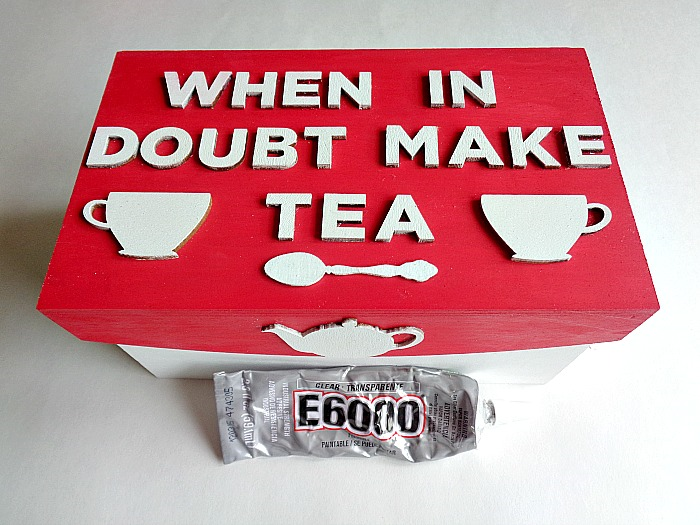 The project itself is a tea box that reads '' When in Doubt Make Tea''. I actually saw this phrase on a home decor project at Meijer and absolutely loved it! 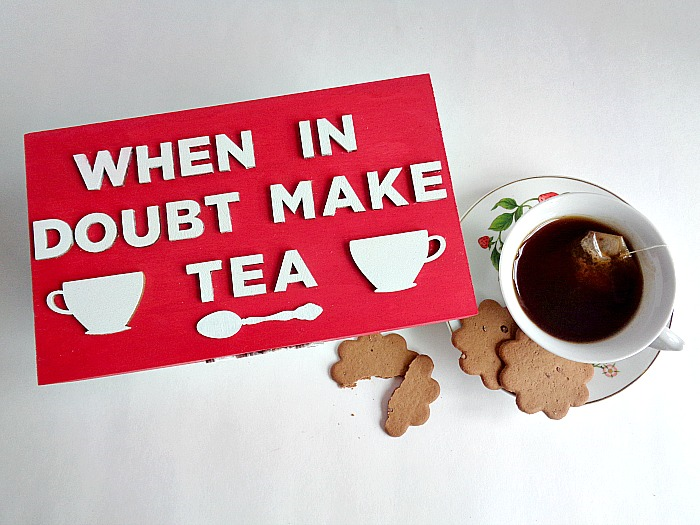 However, I thought the phrase would be much cuter on a tea box for a Mother's Day gift instead. Which brings us to you reading this DIY post now! 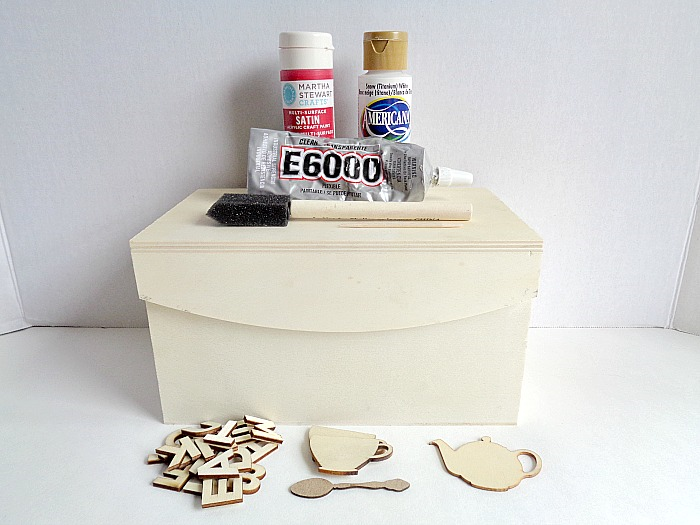 So, if you want to learn how to make your own tea box for Mother's Day, then keep reading below! Step 1: Take two different paint colors and paint your box inside and out. You will want to paint the lid one color and the actual box another color, so they are contrasting with each other. 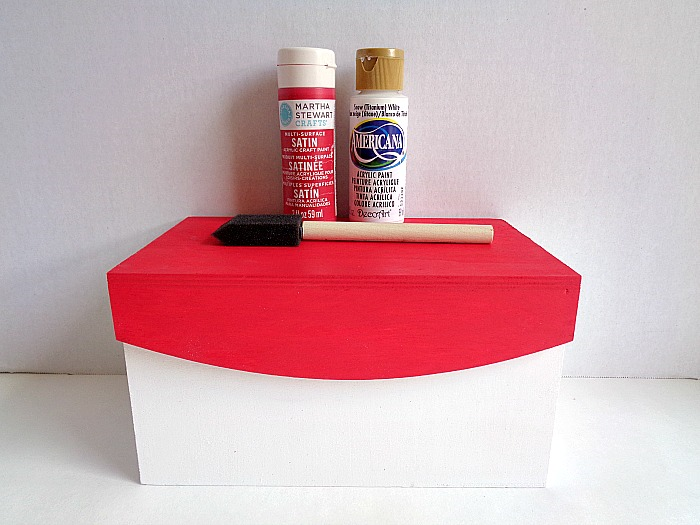 Once your box has been painted, set it aside to dry. 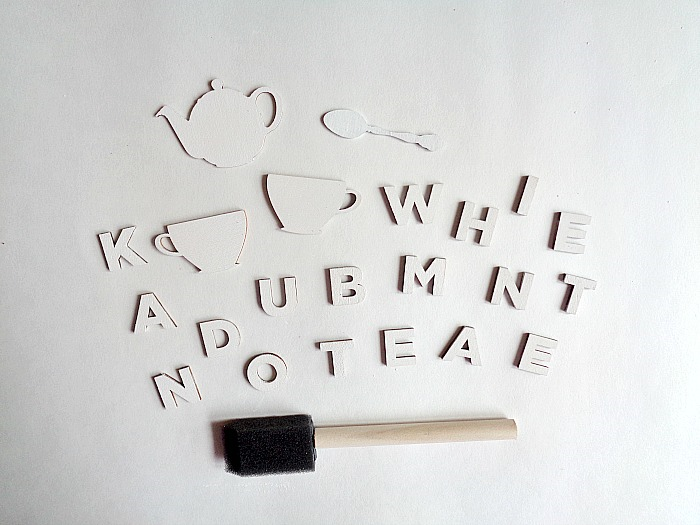 Step 2: Grab your wooden letters and shapes. Then paint them in the same color that you chose for the bottom portion of your box. Once they are all painted, set them aside to dry. Step 3: Lay out your phrase and individual wooden shapes. Then play around with the look until you have a layout that suits you. When you are happy with the layout, glue down each wooden piece (using your E6000 glue and toothpicks) into place. Once all your pieces are glued down, set the whole box aside to dry. 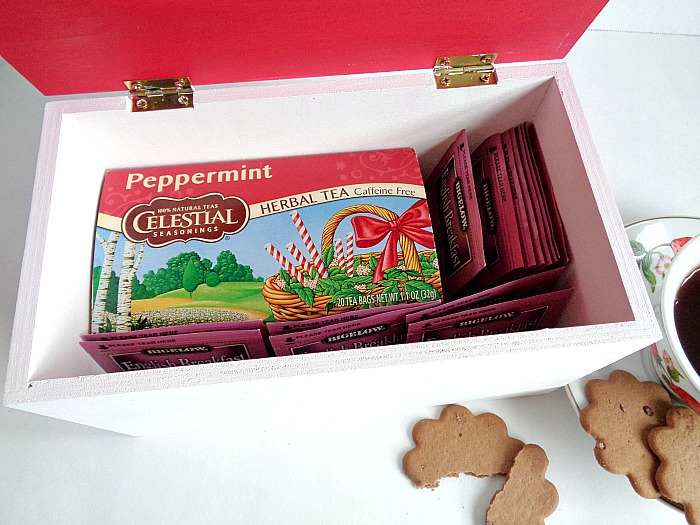 When your box is completely dry, you're ready to fill it up with tea goodies! Wasn't that simple to make? For my tea box, I decided to go with a red and white theme because those are the colors of my mom's kitchen. So that may be something that you might want to keep in mind if you're making this for your mom as well. If you are giving this tea box to your mom as a gift, don't forget to fill it up with extra tea goodies! This could be tea bags, tea ''accessories'' (like tea infusers, tea towels, etc), a gift card (to her favorite breakfast place), or even tea K-Cups. Also, if your mom is not a tea drinker, you could always change the word ''tea'' to ''coffee''. So what do you think? 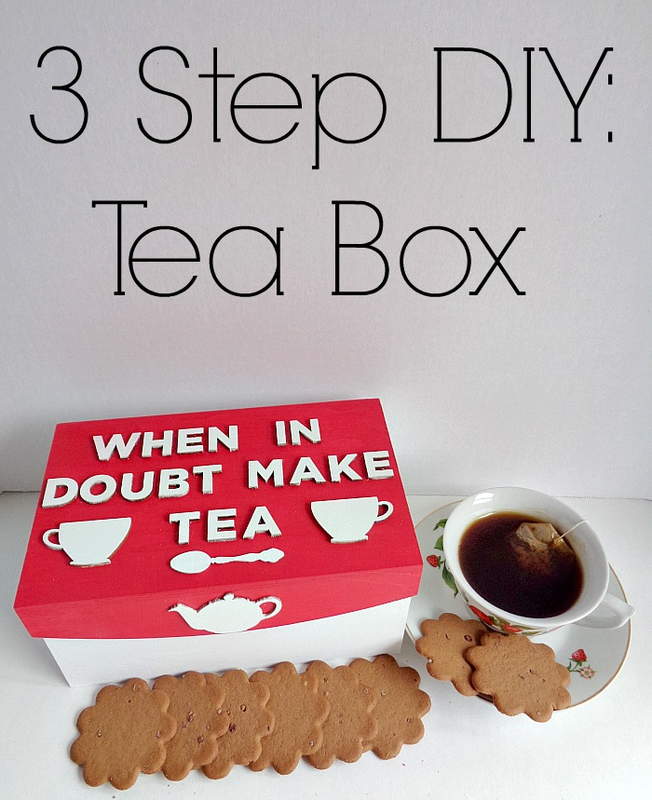 Do you like this tea box idea? p.s Even though this is a ''Mother's Day gift'', you could totally make it for any occasion! Winner of the Deep Red Stamps Giveaway!